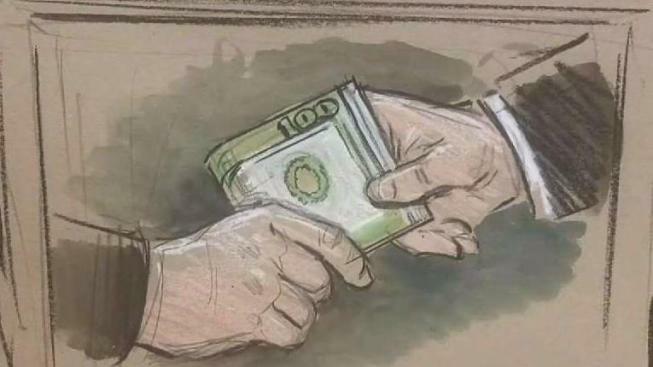 The trial of a former Maryland state delegate charged with bribery has begun with his lawyer insisting that his client accepted bundles of money believing they were campaign donations, not bribes. Michael Lynn Vaughn, a Democrat from Bowie, was charged last year with bribery and conspiracy. Federal prosecutors alleged he accepted more than $10,000 in cash bribes "influencing the performance of his official duties,'' including voting for a bill to expand alcohol sales on Sundays. As Vaughn's trial opened in federal court Tuesday, his lawyer said Vaughn was "stupid'' and "unethical," but not guilty of bribery.